We did some training for this fantastic project at Brighton Museum and Art Gallery. The Queer Looks Project is being jointly run by the University of the Arts London and the Royal Pavilion and Museums in Brighton. It will culminate in an exhibition documenting the last 50 years of LGBTQ street style and will be coming to Brighton Museum and Art Gallery in Summer 2018. The team we trained were part of the young project team who will be doing oral history interviews and collecting stories from some of the LGBTQ community donating clothes to the exhibition. We all brought along an item of clothing or a photo of something we had worn in the past which sparked a really wonderful discussion about clothes and identity. 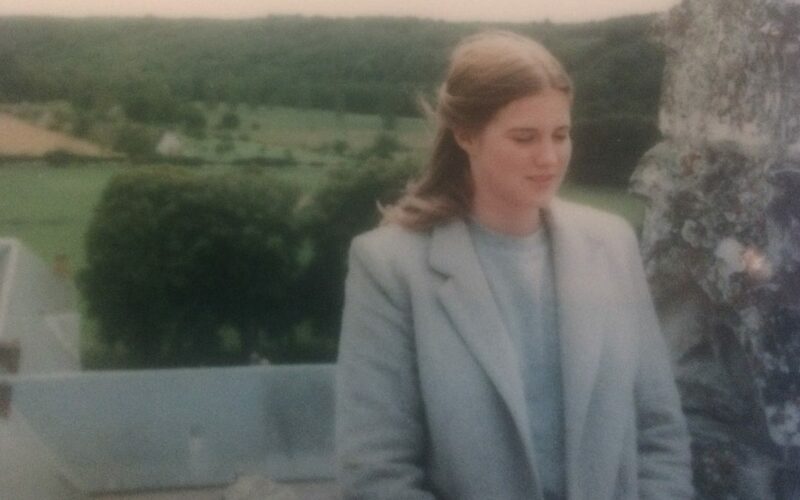 This photo shows me aged 17 wearing my rather conservative looking grey jacket! We will be following this project with interest.